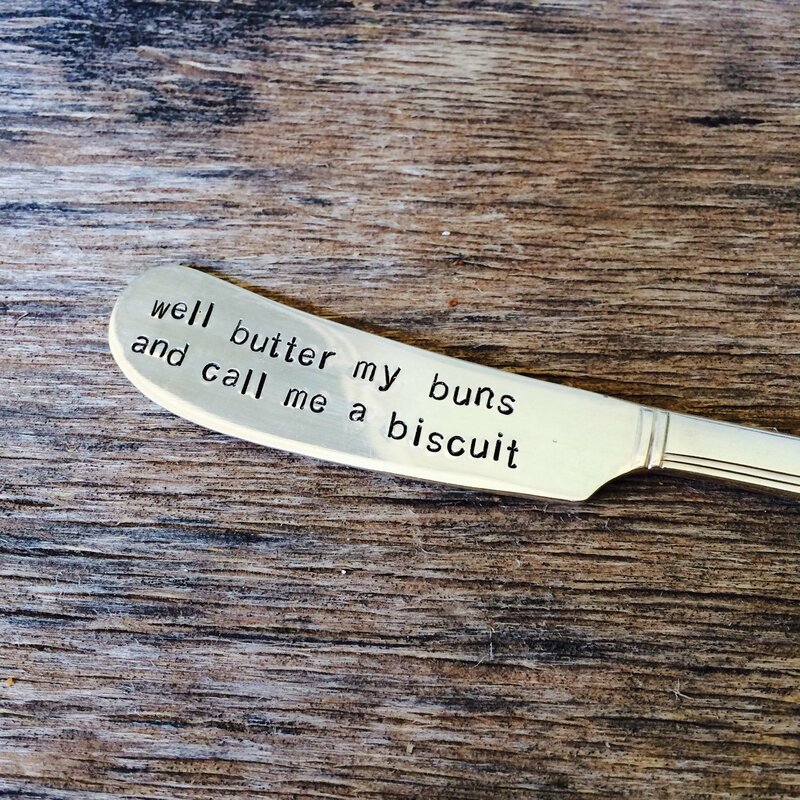 A great butter knife has been hand stamped with "well butter my buns and call me a biscuit". The perfect addition to your table for butter, jelly, or other spreads. An item with great character. Please expect some variation in the handle patterns, since all items are vintage silverplate. These vintage pieces have a lovely patina of age and use. Pumpernickel and Wry is the company behind beautiful time worn silverware pieces. Vintage silver-plated flatware is recycled (up cycled) and given new life with charming hand stamped sayings. You can find simple pieces, made to create new traditions for family holidays, as well as pieces with whimsical and quirky phrases – all great gifts for a special person in your life. All handmade in Arizona.